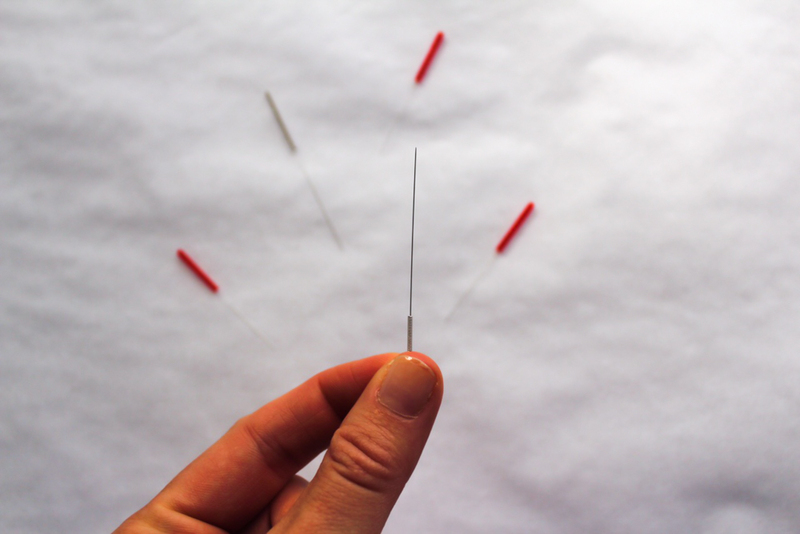 Want to know what it’s like to get acupuncture for the first time? I’ve got you covered! So I’ve got a little secret. I’ve been going to acupuncture regularly for nearly the last two years. I’ve never really mentioned it on the blog before, and I’ve only told a handful of people that I’ve been going, but acupuncture has been a total game-changer for me. Now, you are probably wondering, why would anyone need to go to an acupuncturist? And my response is this: why wouldn’t anyone need to go to an acupuncturist? Acupuncture and Traditional Chinese Medicine (which is the umbrella of acupuncture, massage and herb treatments) are holistic. They are soothing. They are complementary to Western medicine. They are for everybody. An acupuncturist (who is also sometimes an herbalist), can help you reduce your stress, help you soothe muscle or joint pain, help you to sleep better, help you to improve your digestion, help you to alleviate your allergies, help you get relief from your headaches, and of course, help you with your hormonal balance, fertility and so much more. My acupuncturist (whom my Mom found via Google for me) helped me with all of these things and was also a large part in helping me to not only recover from hypothalamic amenorrhea but also to get pregnant naturally and thrive! Let’s get this straight from the beginning: Acupuncture does not inspire the placebo effect. It’s real. And while it may seem silly that placing tiny needles on the skin would do anything at all to your body, consider this: our bodies consist of different energy channels, and each one has a point of greatest electrical resistance just under the skin. That’s why tiny acupuncture needles can help to facilitate the motion and transfer of energy through these channels, right where you need it most, essentially getting your body to address nagging issues and stimulate energy and movement. It’s amazing! What can you expect at your first acupuncture appointment? You will probably have a consultation or sit-down meeting with your acupuncturist to go through a lifestyle discussion. Your acupuncturist will ask about your diet, sleep, stress, emotional well-being, workouts, medication and medical history. They will use this information to put together a loose treatment plan for you. Then, you will get your first treatment, which starts with an assessment of your tongue and pulse. From my experience, you will lay down on your back or stomach on a hospital-ish bed and typically get maybe 8 to 20 tiny needles placed on your skin at specific points to stimulate blood flow and energy movement to appropriate regions, and then you will be left alone in a dark room to relax. My acupuncturist would also spray essential oils, put on an air purifier and a heater over my feet (which was my favorite part). 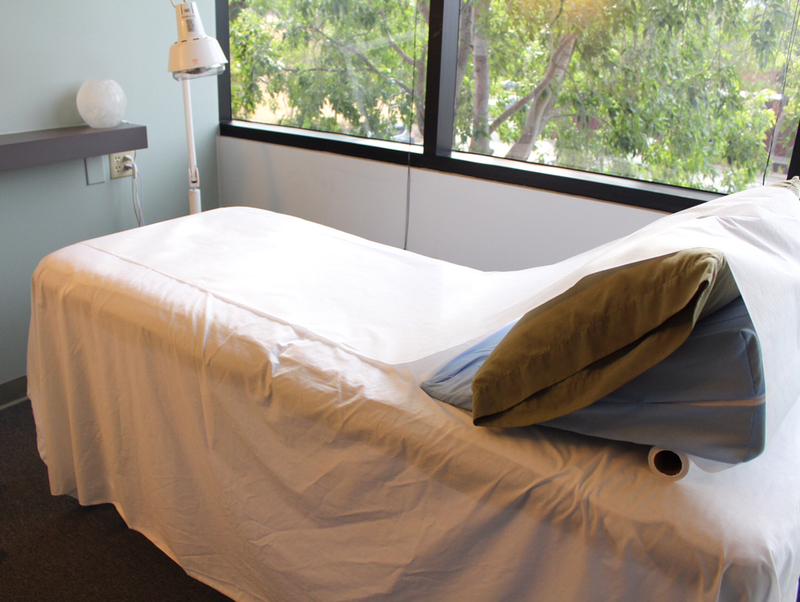 After the needles have been put in, you can enjoy your 25- to maybe 35-minute nap, before your acupuncturist quietly comes back in and removes the needles and sends you on your way, feeling amazing! Each time that you go to acupuncture, your acupuncturist will likely ask you questions about your lifestyle and then check two major things: your tongue and your pulse. Based on Eastern Medicine, the wetness and coating of the tongue tells a lot about how your liver and organs are functioning. And the rate of your pulse, weak, slow, slippery or fast, does the same. Without fail, every time I go in for a session, I have these two vital signs assessed. Moving forward, if you are a female, your acupuncturist will also ask you what day you are on in your menstrual cycle, and base the treatment off of that as well. What does it feel like to have acupuncture needles on your skin? I will be totally honest — you can feel some of the needles, even though they are basically the width of a few human hairs only. There are parts of my body, like my hands, feet and stomach, where I can definitely feel a tiny, tiny pinch when needles are added, which quickly fades. 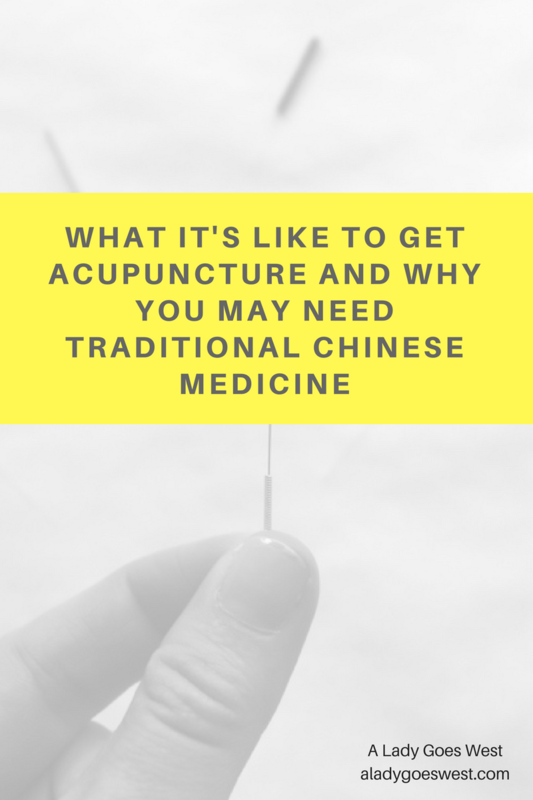 At times, my acupuncturist would turn the needles slightly to really stimulate the area, which would tingle uncomfortably just a bit — but just slightly. However, there are many places where I couldn’t even tell a needle was being placed, such as in my ears, on the top of my head or on my legs. Sometimes I wouldn’t even know that there had been a needle somewhere until after the session. The needles are VERY small and nothing like you see in a doctor’s office, so they are not to be feared. It’s totally minimal pain. The insertion may cause a sensation, but the removal does not. Occasionally I would have a little bruise where a needle was inserted (usually when it’s right near a vein), but it was very insignificant. Basically, no need to be scared of the needles used in acupuncture. What do you get out of acupuncture? Stress relief and symptom relief — helping to cure the root cause of nearly any issue. In addition to talking to my acupuncturist about what was going on in my life, almost as though she was a therapist, I always left acupuncture feeling totally relaxed. My stress levels would go down, and I would feel renewed, as acupuncture points can help lower your cortisol (stress hormone). In addition, if I had any aches and pains, they would feel much better when addressed by my acupuncturist. And because I would almost always fall asleep during treatment, I would walk out feeling rested and zen — almost like how you feel after getting a massage. And that was all over and above the fact that I also knew that the majority of her work was stimulating my reproductive system and healing my imbalances. Love it! When you see your acupuncturist regularly, you will also benefit from the lifestyle and dietary suggestions that he or she can make to you, approached by a holistic view. This is where my acupuncturist totally changed the game for me. 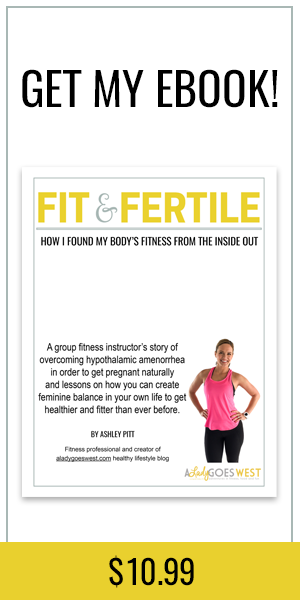 And yes, I share everything she taught me in “Fit and Fertile,” because it was so valuable and nothing that I’ve ever been able to find online before. The thing is, most of our medical doctors are not often taught to look at the holistic picture of our health, and they typically just jump to drugs, surgery or quick fixes for our conditions (it’s not their fault, it’s what they were trained to do in the limited amount of time they have available for each patient). Yet, acupuncture assesses the whole view, also taking into account whatever treatments you are also getting via your conventional Western doctor. Acupuncture and Traditional Chinese Medicine approach wellness by looking at your body’s systems working as one. For instance, the kidney system is very important and can give an acupuncturist major clues about where you are having imbalances and issues internally when assessing your tongue and pulse. And in Chinese Medicine, someone can have the same medical diagnosis from a Western doctor, but need a different treatment via Chinese Medicine. It’s totally personalized. I’m a believer! How often should you go to acupuncture? For the first year, I went every single week without fail. However, during the second year, once I had a cycle and was trying to get pregnant, I went every other week. And now that I’m pregnant, I’m going about once a month, and I plan to go more regularly when I get into my third trimester. Depending on your needs, you would go to acupuncture anywhere from 1 to 4 times a month. Of course, people seem to see results when they go more regularly. Although even one single session can be beneficial. Some insurance carriers will cover acupuncture for treatment, but mine did not. I paid by check out of pocket every single time I went, and it was always $75 per one-hour session (I paid over and above for my herbs that my acupuncturist prepared for me as well, which I took to help with my hormonal conditions). I think that $75 to $90 per session is probably the Bay Area standard, so you may find in your region, the price is slightly lower, because things tend to be more expensive here. What is cupping and what does cupping feel like? Cupping is another tool in the Traditional Chinese Medicine arsenal. And I’ve only had cupping (the process of placing glass cups along the back of the body for suction, sometimes involving heat) done to me one time, and it was not as painful as it may look. You probably saw the big purple circles on Michael Phelps’ back during the Olympics, and those were from cupping. Cupping is used to remove toxins from the body, soothe sore muscles, assist in weight loss, stimulate cleansing and even initiate a menstrual cycle. My acupuncturist is also an herbalist and she created blends of herbs for me to help with my condition, heal my body, support my hormones and cycles and help me to get pregnant. You can’t always get these herbs over the counter, and you have to be careful with them, so you should find a reputable acupuncturist/herbalist to work with you. I took a combination of specially made herbs as well as over-the-counter herbs my acupuncturist recommended, and for more information on some of the herbs I took that may be helpful for healing your hormones or getting pregnant, check out my ebook. What are some tips for your first time going to acupuncture? Wear loose fitting clothing, so that the acupuncturist can reach all of your limbs easily. Go easy on the jewelry, so it doesn’t get in the way or cause any distractions. Try to schedule your session so that you don’t have to rush out and cause yourself any additional stress heading to your next destination. You want to be able to wake up, slowly get back to normal and hopefully head home to relax. If you are going to work out on the same day as your acupuncture appointment, do it beforehand. Because you will be so zen afterward, you likely won’t be in the mood to exercise, nor should you have to. Be honest with your acupuncturist. You aren’t doing yourself any favors by telling white lies about your diet, lifestyle and medical history. It’s totally okay to spill your secrets, because your acupuncturist is a licensed professional who does not judge you at all. Open up your mind to a new way of living and healing, and embrace the journey! Overall, why should you consider acupuncture? I used to think of acupuncture as a strange, granola, hippy-type of thing that people don’t really need. However, after struggling to find help for my own problems over the last two years at conventional doctors’ offices, I can now seriously say that acupuncture is the real deal. It’s not just medicine. It’s better than that, because it is totally holistic, and it delivers. I hope to have acupuncture as part of my wellness routine for many years to come, because it gets to the root of issues and actually helps you to heal naturally. If you are stressed, have some nagging pains, can’t sleep or think you may have a hormonal issue, I encourage you to find an acupuncturist in your area, who has good reviews, now that you know what it’s like to get acupuncture. Keep an open mind, meet with your acupuncturist, and be ready for some amazing changes in your health and overall well-being. And for my Bay Area friends, although I don’t want her schedule to book up too much, my acupuncturist is Nikoo of Guest House Acupuncture in Walnut Creek, and I give her a 10-star rating, on a scale of 1 to 5. For reals! Be well! Have you ever been to acupuncture? What’s something that you would need help with if you went? I went to an acupuncturist for 6 months and recently quit because I saw no improvements in the reasons I was going (digestion and anxiety). While it certainly was relaxing and I am a MAJOR believer in Eastern medicine and holistic treatments, the cost (in relation to what I was actually feeling and seeing results-wise) scared me away. But this post has inspired me to maybe give it another go. Yes, I did follow her lifestyle tips and I bought some Chinese herbs. As far as being able to relax afterward, it’s extremely difficult for me to ever fully relax if I’m honest. I was always able to schedule at the time I wanted, yet she was late sometimes which would annoy me and like I am with most appointments, I was just ready for it to be over. So now that I’ve answered these questions, I probably was just going through the motions rather than fully experiencing it. Which to me means that it would have to be a mindset adjustment for me and that is going to be a very tall hurdle…. Can you tell me more about the benefits of accupuncture in third trimester? I’m thinking about it for these last few weeks but would love to hear from someone who has heard from the source vs what the internet says. I would love to try acupuncture, honestly. For a few different reasons, but mostly to deal with those headaches that I tend to get, or for my skin. And stress. Oh, stress! Acupuncture is ABSOLUTELY helpful for headaches. If I ever had one when going in, and I would tell my acupuncturist, she would put some points in my ears, etc. that would soothe the symptoms. I definitely think you would benefit from this treatment, Susie!! 🙂 Think about it! I did acupuncture for my headaches and it changed my life! i just realize that the consultation is a little bite different in France. After the acupuncturist put the needles he doesnt leave the room. He mades shiatsu pressure points, manipulate your neck, your skull, your face…except that, its absolutly similar. As you, it changed my life. Highly recommended! Thank to share it with us!! Great info! I’ve seen a Chinese medicine doctor twice — once a couple of years ago and once again last month. Cupping is the ONLY thing that helps the tension/knots that pinch in my scapula. I was tension free for 10 days, but as you said, it isn’t cheap. My husband was there when she was doing it and watched in horror. He said my back looked like a teenage mutant ninja turtle shell haha. I took some arnica to help with the bruising (little tablets that dissolve under tongue, a homeopathic wonder product). I don’t really like how acupuncture feels, although I’m sure it would be good for me to go regularly. Certain areas were sensitive and I didn’t like how the needle felt when she’d readjust it. It was uncomfortable and made me yell out kind of half laughing/half yelling. Not something I’d willingly do again. She did this scraping thing on my back too, with a plastic blade kind of. Was really good. I’m all for cupping and the scraping thing but the needles weird me out! Thanks for sharing your experience. People need to get on board with Chinese medicine! If I went to my GP for the back tension, he’d probably have given me a pill of some sort. So I’m all for Chinese medicine, just not the acupuncture! I’m glad the acupuncture has worked so well for you! I haven’t been in quite a while (probably need to go back) but I felt like it helped me relaxed, and helped a lot with some sinus issues I was having. Emily @ Pizza and Pull-ups recently posted…Little workout for your Wednesday! hahhaahah you make me laugh! But hey — that’s real life — and acupuncture can help with that too. Glad you have access to it at the studio — what a nice perk!! 🙂 Have a great day, Jamie! I LOVE acupuncture and it (in combination with the herbs) has made a big difference for me in managing symptoms related to my autoimmune/hormonal conditions. I’m doing an internship at an herbal medicine apothecary and have been capsuling my own vitex pills which has made a big difference for me as well for hormone regulation. My tip would be to make sure you wear underwear you want someone else to see…At my acupuncturist you undress and wear a gown. Wearing a thong and doing cupping (you lay on your belly) is a mistake you only make once haha 😉 I’ve also found the most success with practitioners trained in China but could be that I “trust” them more. Loved this post, Ashley! So glad it helped you! Great and unusual post! I was a cynic but have been won over too! I hate needles/injections in general, but I barely even feel it! For any San Jose area acupuncture seekers, I also recommend Dr. Hsu at Esprit Healing Center on Lincoln Ave, San Jose, he is very gentle and pretty competitively priced. Thanks Ashley for sharing your struggles, it will help many who are feeling alone in this I am sure! Interesting post! I would love to try relaxing/soothing acupuncture maybe later on in my pregnancy as well. I have been receiving regular acupuncture for a swelling and mobility issue I have with my thumb/wrist. I just wanted to point out if you are being treated for pain/swelling… those needles huuuuurt. Like really bad!! Haha.. but that just tells me they are tapping into a powerful area. I have seen slight improvement, unfortunately this is a tough issue I have to treat, but I have high hopes! Hi Rose! Good to know — and I think the width of the needle also will worsen the pain, and I’m guessing for swelling issues, they would pull out the thicker needles. And yes — the little sting definitely tells you that it’s hitting the right area. 🙂 Hope you continue to see improvement! Intriguing! I’ve tried it once for my bad knees and didn’t find it helped but I believe it was past the point of no return for my knees either way. I have tried cupping and also traditional chinese bodywork done on my back and full body and it was life changing for my back health! Maybe once I hit next week (37 weeks) full term status! Knees don’t bother me much since I’ve stopped dancing but sometimes they flare up. Hi Jen! No way! I hope you enjoy your session and click with your acupuncturist — remember, it may take a few sessions to get relief from what you need, and also, be sure to open your mind up to any of the other suggestions you get. It can be hard for us “healthy gals” to listen to others, but sometimes we need to hahaha! Thanks for saying hi! Let me know how it goes! heard so many good benefits with acupuncture and thanks for this informative and honest description with your experience! Hi Courtney! You are so welcome! Thank you for reading!! 🙂 I am a true acupuncture believer now! This is so interesting! I have been considering acupuncture for stress and hormone balance. I live in Asia and really like a mixture of Eastern and Western medicine. When I was 36 weeks pregnant our baby was breech so I started seeing a chiropractor. Our baby flipped after the first visit (and lots of prayers). I would recommend seeing a chiropractor at least a few times in your pregnancy to help with delivery. My hips were too closed and tight when I first went. This is something I had been curious about. Your post had a lot of good information in it. Hi Deanna! Thanks so much for reading and saying hello! Everyone can benefit from acupuncture in some way. Glad you enjoyed this one! I’ve only had three acupuncture treatments (unfortunately can’t afford it right now) but really enjoyed it. As someone who is generally frazzled, stressed and anxious, I found it SUPER effective. I’m also terrified of needles, but surprisingly okay with acupuncture.